Snorkeling with Whalesharks off a remote island in the phillipines. This is probably the most incredible thing I’ve ever done underwater. 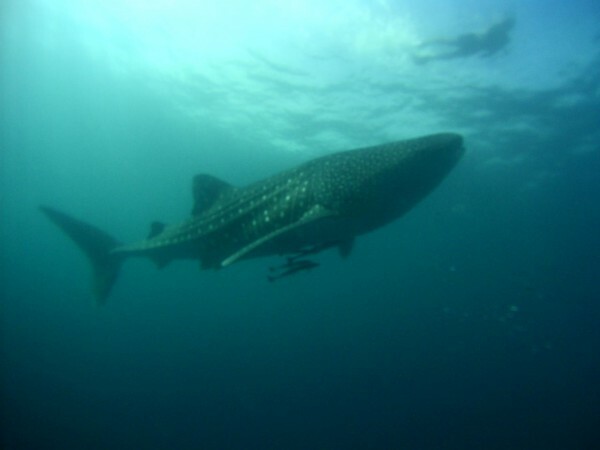 In southern Philippines there’s the coastal town of Donsol where in the spring months february through may, you can snorkel with whalesharks. All you have to do is get a flight on Cebu Pacific to Legaspi, then catch a 90 minute drive to a remote town, where theres nothing to do but chase whalesharks. They put you in a boat and you cruise around the sea until your guide tells you to jump in. Immediately you’re in the water with a mask and snokel on top of a monstrous ocean beast of about 40 feet long. You swim alongside it as long as you can, and then you go find another one. On an average day you may have ten or more encounters, and I think the whole trip costs about 25 dollars a person. I can’t recommend this enough, I don’t know of any other place in the world that offers anything like this. At night they offer a firefly viewing tour which my buddy went on and didnt really rave about it. Id say one night in donsol is all you really need, with one day or two on the water. 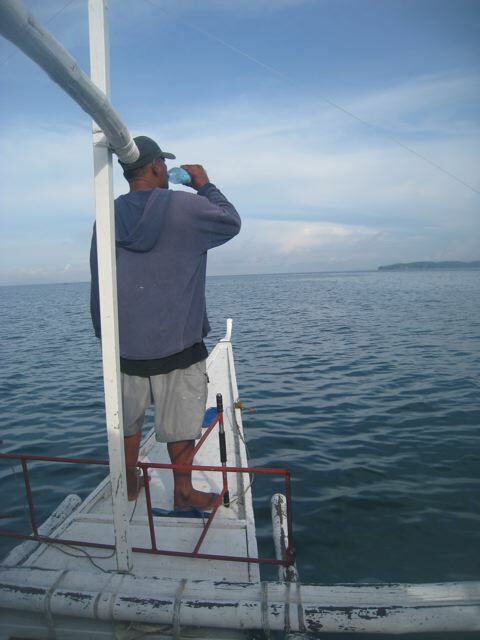 I would also advise hiring a private boat, you can see more whalesharks this way. The whole boat costs about $50 for the day as I recall, the morning excursion being the better of the two. You might as well pay a little more to make sure you’re not paired up with kids or old folks who may not be able to get in and out of the water as fast.